Covina Auto Repair | TL Motors Inc.
San Gabriel Valleys Best Value For Auto Repairs & Service! Welcome to Covina Auto Repair. Welcome to TL Motors. Expert auto repairs and affordable auto sales to the San Gabriel Valley since 1978. Our family-owned business offers the highest quality service and sales at each of our locations; the TL Motors auto repair shop in Covina, and the TL Motors Sales used car dealership. The TL Motors auto repair shop in Covina is your dealership alternative for expert, affordable auto repair services for all foreign, domestic, and hybrids along with specializing in Japanese imports. We are proud to be one of the most experienced and trusted auto repair shops in the San Gabriel Valley. At the TL Motors Sales used car dealership, we offer the best value in quality pre-owned vehicles. We have an extensive selection of different makes and models, including a number of import models in excellent condition. All our vehicles are pre-inspected and serviced to the highest standards. If you drive a hybrid, let TL Motors show you why we are the clear choice for your hybrid repair needs. Our factory trained technicians understand the complexities regarding maintenance and repairs to your hybrid vehicle. Our diagnostic services will find the problem and make the repairs to the exact specifications of your vehicle. We are proud to be a local, independent, family-owned company. Our connection to the San Gabriel Valley community is reflected in our approach to customer care: we provide honest assessments of our customers’ car problems, and we work with you to find the most affordable, effective solution. Our experienced staff does everything possible to work within your budget, and they will never sell you anything you don’t need. Our customers know they can rely on our high quality workmanship and straight forward dealing. 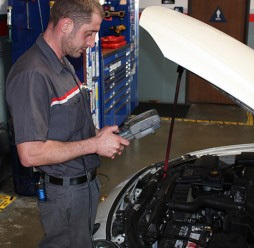 At TL Motors, our factory-trained and ASE-Certified technicians provide dealer-quality workmanship, using the latest diagnostic technology and state-of-the-art tools. We also only use original equipment manufacturer (OEM) and original equipment supplier (OES) parts. We’ve even won awards from Lexus and Toyota for completion of their educational programs. We value your time and your business, and we guarantee prompt and responsive service. For your convenience, we provide shuttle service to and from any location within 10 miles of our shop. If you prefer, you can also wait for your vehicle in our comfortable, fully furnished customer lounge. We carry a large inventory of Toyota and Lexus parts, as well as parts for most other Japanese makes and models, so we almost always have parts on-site when we need them. In addition to our competitive rates, we also offer affordable auto repair loans. We work with Car Care One to provide you a full range of loan and lease options, and our finance department has the resources to offer you one of the best deals on auto repair loans in the San Gabriel Valley. 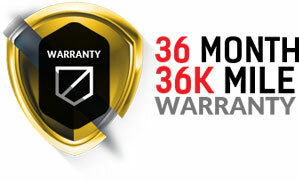 At TL Motors, our commitment to excellence is not an option; it’s a requirement. For more information about individual services, explore the rest of our site or give us a call today (626) 331-3511. We look forward to serving you.